On our recent trip to Cape Town, we made a point of visiting a selection of vineyards within the famous Cape Winelands, an area of stunning beauty, set against the backdrop of Cape Town’s impressive mountains. And the wine definitely lived up to all expectations too! Regardless of personal taste, you would be very hard pushed to sample an unpalatable glass of wine in these four superb wineries. Our first stop was at Babylonstoren in Franschhoek, an area originally colonised by the French Huguenots, who brought with them their wine traditions and expertise. 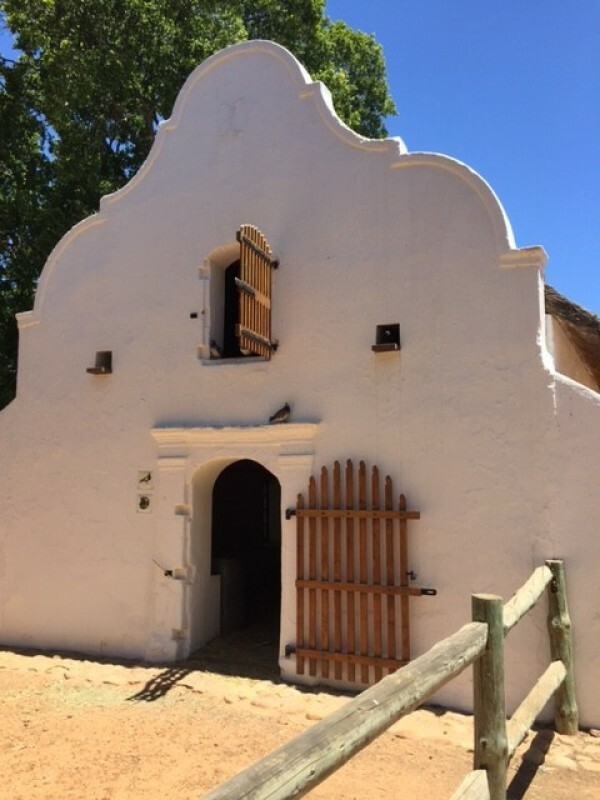 However, the first vineyards were planted shortly after the Dutch settlers arrived in 1652, with the estate of Babylonstoren dating back to 1692. 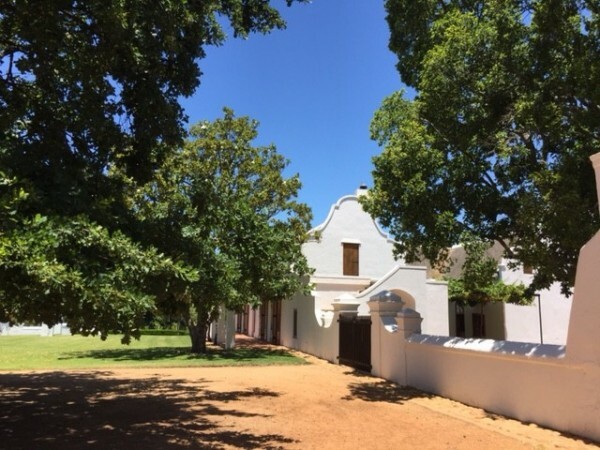 An historic Cape Dutch farm, Babylonstoren is much admired for its magnificent grounds of over eight acres, including fruit and vegetable gardens. Many of the original farm buildings are also now transformed into a quaint and character-filled Farm Hotel & Spa, retaining the traditional thick whitewashed walls, distinctive gables and large fireplaces. All the Farmhouse suites have access to an outdoor swimming pool and a hot spa area that includes a salt room, sauna and hot pool as well as a lounge area. In addition to the superb wine and meals on offer here, there is also a farm shop where other products can be purchased. The idyllic surroundings provide the ideal atmosphere for tasting some very special wines, accompanied by a choice of complimentary dishes. You really can’t go wrong with the white wine here, particularly the unoaked Chardonnay, and also the Viognier and the Chenin Blanc. We also tried a delicious light red Shiraz. 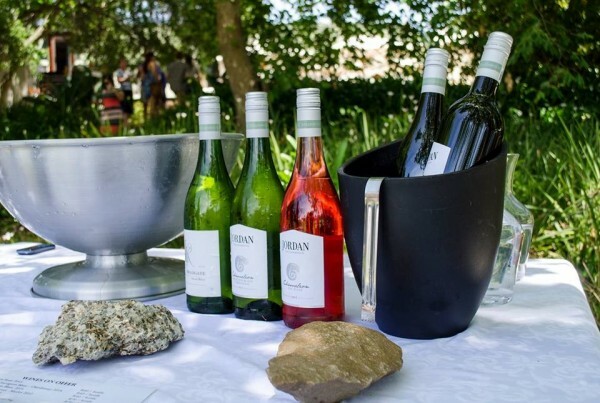 The tasting room is open from 10h00 – 18h00. Cellar Tours start at the cellar, on the hour, between 11h00 & 15h00. Tel. 021 863 3852. 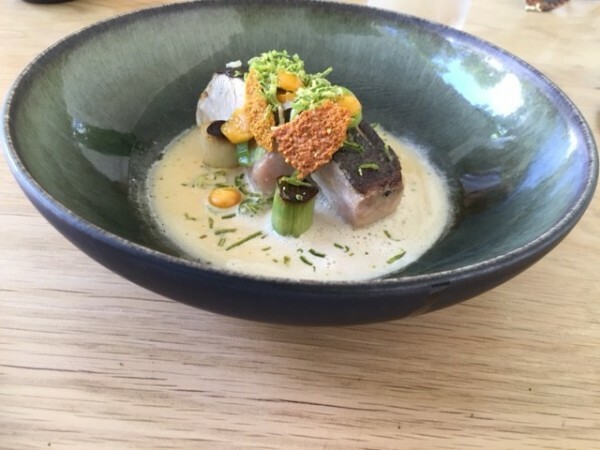 Our next stop was Maison Estate, also in Franschhoek, where (following numerous recommendations) we had also booked to have lunch. The menu here is so tempting and imaginatively presented, we all tried something different to take full advantage. Special highlights for me were the Perlemoen (abalone, or New Zealand paua) with choy, celtuce, sea lettuce and yoghurt, and the line fish with leeks and gooseberry. 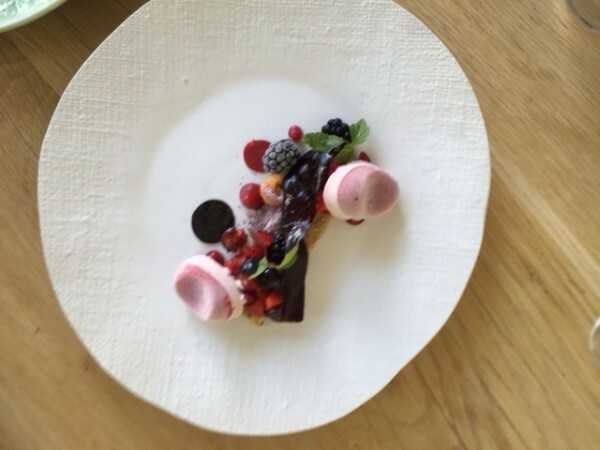 Not forgetting the delicious dessert of Raspberry, blueberry, boysenberry, shiso and shortbread! The restaurant is in a glorious position, with tables on a verandah overlooking a huge garden with trees, all set against a backdrop of vineyards. 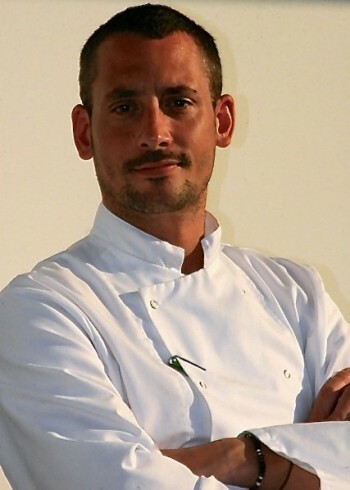 The vegetables, fruit and herbs all come from the estate’s garden and orchards. 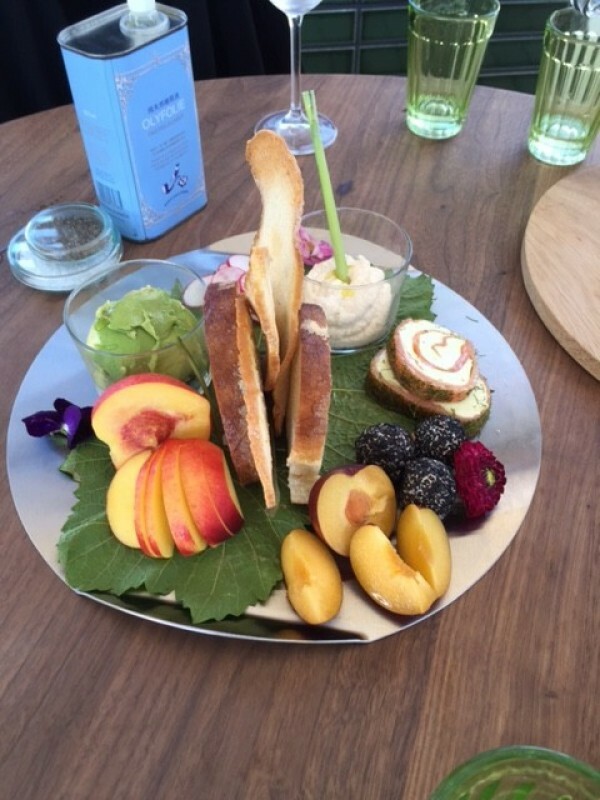 If you don’t feel up to such a lavish lunch, you can also purchase a selection of delicious cured meats, cheeses and preserves, all freshly made on the farm, and a selection of simple dishes to take away, or to have as a picnic on the lawn under the ancient oak trees – or take a rest after lunch in an addictively relaxing hanging chair. The wines we tasted were all delicious, but one that we still continue to talk about is the straw wine, with its hints of honey and vanilla. The grapes used in this wine are sweetened on straw bales in the sun, then Chenin wine is added to separate the grapes from the straw, before being fermented in oak barrels for up to two years. Our next outing was to Stellenbosch, the first region in South Africa to establish an official wine route. Here we discovered the impressive Jordan Wine Estate. Gary and Kathy Jordan have been making world-class wines since 1993 on a farm with a history going back over 300 years. Gary’s parents bought the 146 hectare Stellenbosch property in 1982, and embarked on an extensive replanting programme, specializing in classic varieties suited to the different soils and slopes. The result is some really top class wines – we liked, in particular, the chardonnay, cabernet sauvignon and the dessert wine. Again, there is a very tempting lunch menu, which changes daily, based on the best seasonal produce available on the day. 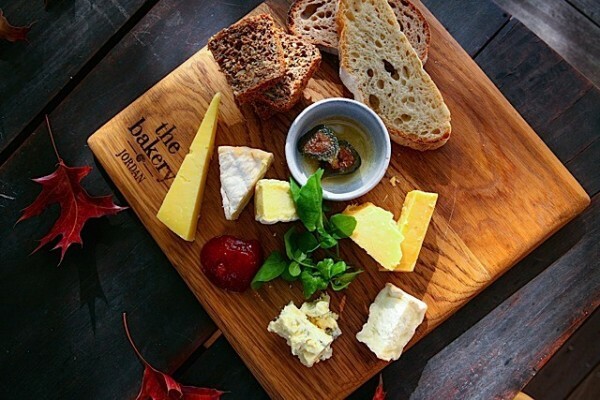 We tried and would highly recommend visiting the Cheese Room, which features South African cheeses, including blues such as Fairview Blue Rock and Cremalat Gorgonzola, hard cheeses like Klein Rivier Gruyere and Dalewood Huguenot and a selection of seasonal goat’s cheese. Guests are invited to make their own selection to enjoy with wine, or as a dessert. Open Monday – Sunday from 09.30 – 16.30 for wine tastings and tours, From December until end of February, on Thursday, Friday and Saturday, they are open until 18:30. 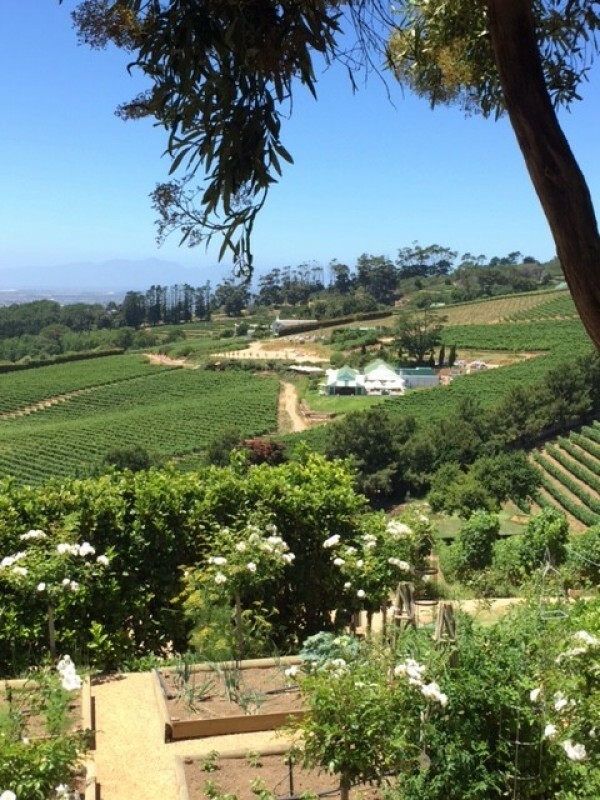 Last, but not least, we visited the beautiful Beau Constantia, a 22 hectare, boutique wine farm at the top of Constantia Nek, with views of the Stellenbosch and Helderberg Mountain ranges and over False Bay as far as Hangklip. The cultivated varieties include Viognier, Sauvignon Blanc, Semillon, Cabernet Franc, Merlot, Cabernet Sauvignon, Malbec, Shiraz and Petit Verdot. A particularly good red wine here is the Lucca red, a classic Bordeaux-style wine, aptly described as ‘liquid chocolate’! 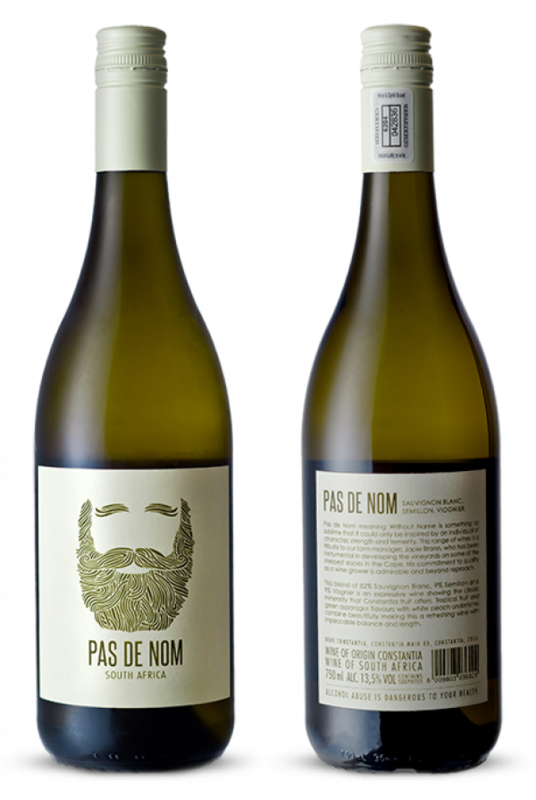 Beau Constantia has recently launched a second tier range of wines called Pas De Nom, of which we particularly liked the rosé, the white (a blend of Sauvignon Blanc, Viognier and Sémillon) and the sparkling wine. The distinctive label is a homage to the vineyard manager, who has recently died. There is a fabulous tasting area on a terrace, with magnificent views over the valley, and where seating includes huge hanging sofas for relaxing outdoors. 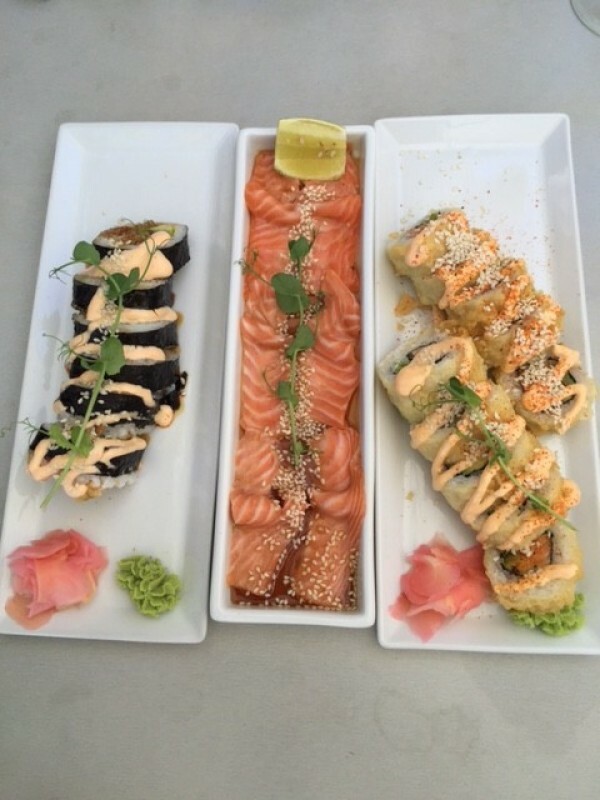 Here you can enjoy a delicious combination of fine wine and beautiful plates of sushi! 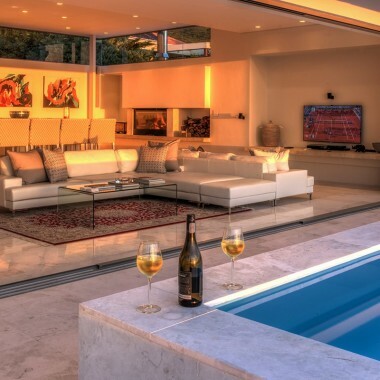 Booking in advance is recommended at all vineyards. 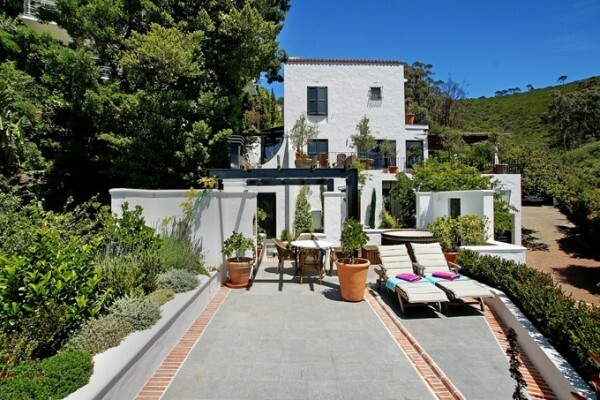 Perfect for a couple, this luxurious and romantic one bedroom cottage is situated in the Tamboerskloof area of Cape Town, just 5 minutes away from the city centre. This perfectly positioned 3 bedroom beach bungalow is situated on Clifton’s most popular Second Beach, arguably the best location in Clifton. 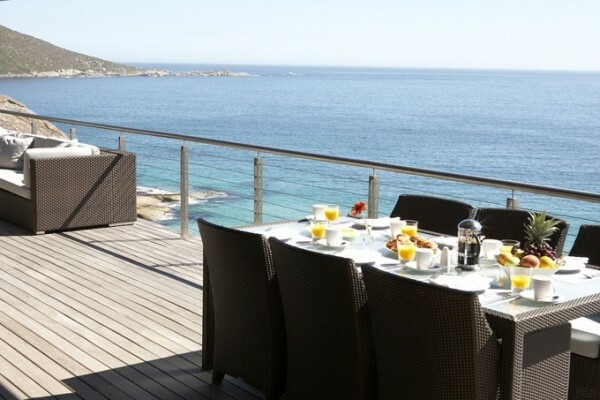 The house is built on the rocks with direct access to the beach. 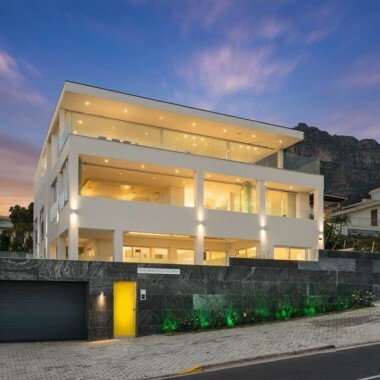 An ultra-luxurious and exclusive 6 bedroom villa nestling on the slopes of the Atlantic Seaboard next to the Sandy Bay Nature Reserve. 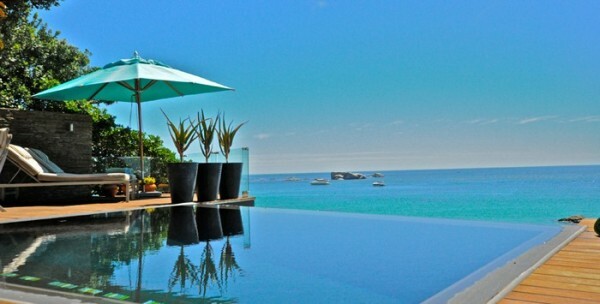 It offers spectacular sea and mountain views from most rooms. 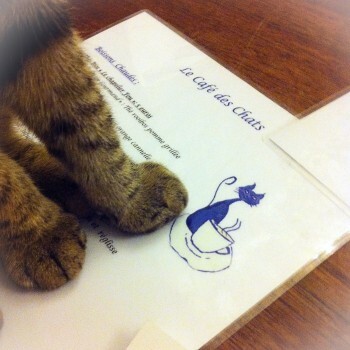 A Purr-fect Way to Enjoy Parisian Café Life!